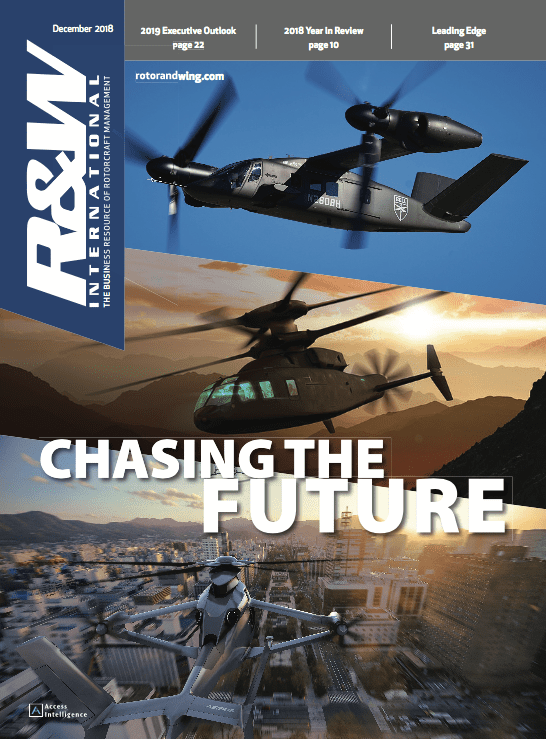 U.S. border security officials have made their long-awaited choice of rotorcraft to replenish their fleet. The Department of Homeland Security in late September picked Eurocopter's EC120 Colibri for low-level surveillance and security patrols of U.S. borders and Bell Helicopter Textron's Bell 430 for twin-turbine medium utility helicopter requirements. Border patrol officials conducted a fly-off in August 2003 of aircraft vying for the contract to replace 38 OH-6As currently used for patrols and to expand their fleet, with a possible contract for 50 orders and 50 options. But the contract award was put off repeatedly as Homeland Security officials sought revised proposals and wrestled with integrating the aviation assets of the agency's various subdivisions. "We've been working many, many years on this deal," said Marc Paganini, president and CEO of American Eurocopter, which will supply the EC120s. The contract awards coincided with Homeland Security's consolidation of its Immigration and Customs Enforcement Air and Marine Div., which operates Black Hawks and fixed-wing aircraft, into the Customs and Border Protection agency, successor of the Border Patrol and Customs Service ports inspection services. The agency is now in the process of negotiating formal contracts with the manufacturers. Paganini said American Eurocopter's share would be worth up to $75 million over the five-year term of the contract. Bell valued its share at $164 million for the 25-30 aircraft to be procured. The EC120 would be used for what the border protection agency calls the Law Enforcement Equipped Single Engine Light Observation Helicopters--or "Light Sign Cutter"--fleet. That fleet will fly low-level surveillance and security patrols of U.S. borders, seeking to detect, interdict and apprehend persons either trying to enter the United States illegally or conduct illegal activity along its borders. Those aircraft will be completed at American Eurocopter's new manufacturing facility at Golden Triangle Airport in Columbus, Miss. The company formally opened that facility Oct. 20. Paganini said deliveries of the first batch of 15-20 EC120s to the agency should start in the second quarter of next year. He said the order should boost Eurocopter's efforts to sell EC120s in the United States. "This is very important because of the quality of the customer," he said. "It certainly will help us sell aircraft in the U.S."
For Bell, the border protection order advances efforts to place the 430 with law-enforcement operators. The type currently is flown by the New York State Police and the Louisiana State Police. The aircraft will be built at the Bell Helicopter Canada facility in Mirabel, near Montreal, and completed at Bell's Ft. Worth, Texas plant. The aircraft are slated for delivery starting at the end of 2005. The order for the 430s puzzled observers, including some long-time Bell backers, who had expected Homeland Security to acquire Eurocopter aircraft. Greece's Ministry of National Defense said air force radar operators and army aviation officials failed to sound an alarm about the Sept. 11 crash of a Chinook carrying senior religious leaders until 2 hr. 15 min. after the Boeing CH-47D had crashed in the Aegean Sea. A preliminary investigation report by the ministry showed that rescue efforts were not started for another 30 min. after the alarm was sounded. The ministry cited "negligence and poor coordination of the personnel responsible for tracking military flights," according to published reports. These included radar operators and personnel at the unit that operated the helicopter. The crash killed 17, including Patriach Petros VII, head of the Greek Orthodox Church in Africa. Lt. Gen Panayotis Papanikolaou lost his job as air force chief of staff as a result. Maj. Gen. Georgios Avlonitis has succeeded him. Beset by payment disputes with the federal government and worried bankers at home, Hawkins & Powers Aviation has put most of its operations on the block to pay off debts. "It's a sad story," said founder Dan Hawkins of nearly a decade of problems that led to his Greybull, Wyo.-based company's bankers to call in a loan in late September and use all of Hawkins & Powers' available cash to cover part of the loan balance. Hawkins said the company has been fighting for nearly a decade with various offices of the U.S. Defense Dept., the Forest Service and the Justice Dept. over ownership of its surplus military aircraft and payment for aerial firefighting work. Hawkins & Powers Aviation opened in 1969. It claims to be among the firms that pioneered aerial firefighting techniques, including the use of computer-controlled aerial retardant application systems. The company's helicopter division operated two Bell UH-1Bs, two UH-1Hs, three 206B-3s, one 206L-1/C30P, one 206L-3, one 206L-4, one MD Helicopters 500D, three Hiller UH-12Es and one Eurocopter SA-316B. The growing demand for night-vision goggles by military forces and anti-terrorism units will push the market for land- and sea-based electro-optical systems to an estimated $9.5 billion, according to a new study. The author of the study by Forecast International, Andrew Dardine, projected that, over the next 10 years, research and development funding for four of the major U.S. night-vision development programs alone will total $674 million. Other nations are also getting in on the action, he said. The Canadian government recently placed a $19-million order for ITT's third-generation PVS-7 night-vision systems for its army. That order is for more than 5,000 units, of which the first 1,000 have already been shipped to Canadian forces deployed in Afghanistan. 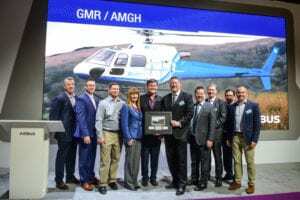 Bell/Agusta Aerospace Co. logged new orders for its AB139 from the U.S. government and a Canadian charter operator as company officials said they expect FAA certification of the medium, twin-engine helicopter by year's end. An unnamed government agency placed an order for the AB139, company officials said. They would not disclose the extent or terms of the order or the planned uses of the aircraft. Canada's London Air Service ordered a second AB139 for transport operations in Canada. It is to get its first AB139 in late 2005 and start operating it in early 2006, Bell/Agusta said. The AB139s will fly executive charter missions, complementing London Air Services' fleet of Lear 45s and Challenger 604s. Bell/Agusta Managing Director Lou Bartolotta said about 80 AB139s have been ordered by more than 40 customers worldwide. Training in Italy for mechanics and pilots has been completed for earlier customers. Bell/Agusta delivered its second AB139 in September. The Namibian Government took delivery of the aircraft on Sept. 16 in the capital of Windhoek. The aircraft will be use by the Government Air Transportation Services for emergency medical service and general transportation utility work. Additional AB139 deliveries are expected by the end of the year. The 15-passenger helicopter won type certification in June 2003 from Italy's ENAC. That aircraft uses the original-design cockpit, which has three primary flight displays. 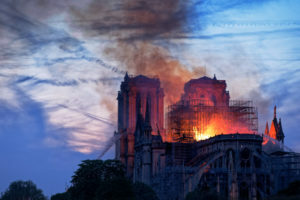 FAA officials, however, dictated that the aircraft have four displays. The revision of the design to that end and the integration of the Honeywell Primus Epic avionics suite slowed the U.S. certification efforts. Bell/Agusta had hoped to have an FAA type certificate for the aircraft by various points earlier this year. The company said it also has received European EASA IFR type certification for the three-display configuration. The AB139s for North American customers will undergo final assembly at Bell Helicopter Textron's plant in Amarillo, Texas. That work is to start in the second quarter of 2005, Bartolotta said. The first aircraft to be assembled in Amarillo will be delivered in early 2006. Full-rate production is expected within three years. Bell/Agusta will demonstrate the AB139 extensively throughout the United States next year, specifically aimed at government programs and law enforcement operations. The AB139 has been selected for the U.S. Coast Guard Deepwater modernization program. Bell Helicopter has completed preliminary design work for its entry in the U.S. Defense Advanced Research Projects Agency's unmanned combat aerial vehicle (UCAR) competition. Bell is on a team led by Lockheed Martin that is developing the reconnaissance/combat vehicle. Other members of the team are Raytheon Co.; Charles Stark Draper Laboratory; Whitney, Bradley & Brown; L-3 Communications; DRS Technologies, and Harris Corp. The team chose a heavy-fuel advanced compound helicopter concept for its entry. While it is still doing some prototyping and preliminary development work on various systems, Bell said the 5,500-lb. gross weight aircraft should be able to achieve speeds in excess of 170 kt. and meet the performance requirements of 6,000 ft. altitude on a 95 deg. F day while maintaining the capability of a 500-fpm. climb. Its designed ceiling is 18,600 ft. The Bell design uses an advanced rotor with cambered blades and a propulsive anti-torque system using a high-bypass propulsion system within the tail cone. This is similar to the no-tail-rotor concept, but provides an added benefit of forward thrust. The absence of a tail rotor, combined with a slowed main rotor system, will achieve significantly lower noise levels, Bell officials said. Jan Walker of DARPA said that both contractor teams--Lockheed Martin and Northrop Grumman--have now completed the preliminary design work and "demonstrations of key enabling technologies with extremely encouraging results." Some concern has been expressed in the industry about the Army reevaluating budgeting for the program. However, Walker said that DARPA and the Army "are pleased with the progress of the UCAR program to date" and that they are in discussions with regard to budget issues associated with the program. Phase III awards "will be announced once these discussions are completed." Italy's Finmeccanica is carrying out plans to take full control of AgustaWestland following the United Kingdom's clearance of GKN's $1.9-billion (?1.06 billion) sale of its 50-percent stake in the helicopter maker. The government decided in early October not to have its Competition Commission investigate the transaction. The decision brings to an end Britain's role as an owner of major helicopter manufacturing. AgustaWestland was created in early 2001 through the merger of GKN's and Finmeccanica's helicopter businesses. The U.K.'s clearance of the deal is contingent on Finmeccanica promising to protect sensitive data and to keep military helicopter production for the United Kingdom under the control of a British-registered company. Finmeccanica also would have to seek U.K. approval before selling or shutting down any AgustaWestland military-related manufacturing assets in the United Kingdom. Finmeccanica is anticipating confirmation of a $1.8-billion order for Lynx aircraft for the U.K. army and navy. The Vought-Sikorksy XR-4C, Igor Sikorsky's first production helicopter and the world's first mass-produced helicopter. The first Bell model 30 Ship 1-A. The only P-V Engineering Forum (Piasecki) PV-2. Hiller's first (and only) XH-44 Hiller-Copter. Kaman's K-225, the first helicopter to fly with a gas turbine-driven transmission. A Sikorsky UH-34D Seahorse with the markings of Marine Medium Helicopter Sqdn. 163. This particular aircraft never saw service overseas, but the unit saw extensive combat in Vietnam. The only Harold Pitcairn's AC-35 autogyro ever produced. It was designed to be converted to an automobile and driven on the open highway. The Robinson R-44 that Jennifer Murray flew around the world--twice--and Robinson's first production R-22. The Bell H-13J, the first helicopter to carry a president. The U.S. Air Force flew Dwight D. Eisenhower in a modified H-13 on July 12, 1957. The four originally displayed rotorcraft are the only surviving Bell XV-15 tilt-rotor research aircraft, a Bell UH-1H that served in Vietnam from 1966 to 1970 with the 229th Assault Helicopter Battalion of the 1st Cavalry Div., the 11th Combat Aviation Battalion and the 118th and 128th Assault Helicopter Companies, a Gyro 2000 Ikenga 530Z gyroplane developed by David Gittens and a Focke-Achgelis Fa-330 rotary-wing "kite" towed behind World War II German U-boats. Before Brook Collison and his black AS350B2 got the thousands of pounds of dinosaur bones airborne in late September, in a sense the heavy lifting already had been done. Flying for Salt Lake City-based Classic Helicopters, Collison spent more than a half hour lifting five loads of dinosaur bones from the red-rock desert of southern Utah on Sept. 29. But scientists had spent more than two years before that digging the bones free. The length of that work is no surprise--nature spent 75 million years burying them. The fossils have been carted off to the Utah Museum of Natural History at the University of Utah in Salt Lake City for closer study. That has paleontologists thrilled. They believe the nearly intact skeleton of the 30-ft.-long, three-ton creature belongs to a previously undiscovered type of duck-billed dinosaur of the Hadrosaur family. But the operation was fairly run of the mill for Collison. Classic Helicopters was tapped to recover the fossils from the remote site on the Kaiparowits Plateau in the Grand Staircase-Escalante National Monument. The company had been under contract from Zion National Park for firefighting and other work. When the paleontologists said they needed a lift, the Zion officials made the Classic helicopter available. The terrain at the 7,200-ft. elevation site was a bit unusual, Collison said--basically a punch bowl filled with mud hoodoos, pedestal-like geological formations. "It's easy to see how the dinosaurs got stuck there," he said. The day was cool and calm, which was good. Collison said he had no problem lifting the first three loads of burlap-and-plaster encased fossils, which weighed no more than 800 lb. each. But the last two weighed 1,400 lb. or so each and took everything the aircraft had to lift. The first load he lifted just a bit off the ground and slipped about 2.5 mi. down the mountain to the drop point, an old, beat-up pickup that "looked like part of the archeological site," Collison said. But he didn't have the power to raise the load to the pickup's bed. Collison dropped it and went for the last load. By then, his fuel consumption had lightened the AS350 enough that he could lift that load into the pickup. Still, that fourth load was challenging. "That was a bit unusual," he said. As he lifted, the helitack crewman by the truck called out his ground clearance. "Three inches . . . six inches . . . one foot . . . I'd never heard that before." Honeywell is close to re-starting production of the famed T53 engine that powered thousands of UH-1 Hueys. 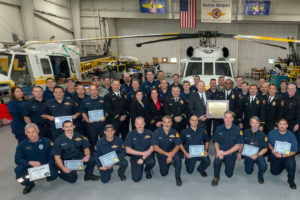 The new engines are expected to receive FAA civil certification early next year and are a contender to power the Bell 210, the UH-1 derivative for which Bell is seeking an FAA civil type certificate. Honeywell's director of advance technologies, propulsion engine, systems and services, Ron Rich, said the company plans to start production early next year. The production site has yet to be selected. The original Lycoming production plant in Stamford, Conn. was closed in the late 1990s as part of the government's base closing program. "We're very excited about bringing the T53 back," Rich said. "We've been supporting them in the field for many years. It's one of those lines of engines that continue to live." Honeywell also has started developing a turbine engine demonstrator under the Versatile Affordable Advanced Turbine Engine (VAATE) program. This program is "life after IHPTEP," Rich said, referring to the U.S. Army Integrated High Performance Turbine Engine Technology that is now in the second of three planned phases. The program is designed to demonstrate an 80-percent improvement in power-to-weight ratios, a 30-percent reduction in specific fuel consumption and a 20-percent reduction in costs. That program is to end late next year. 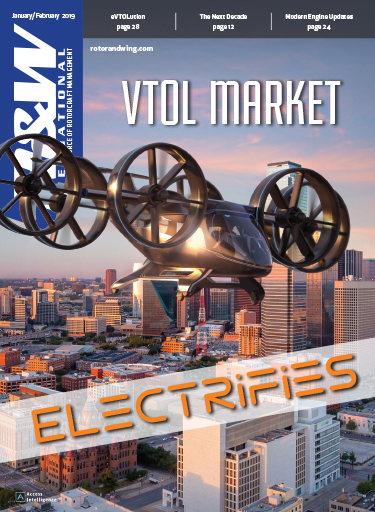 Initially aimed at technological improvements in power-to-weight ratios and specific fuel consumption, VAATE program's primarily goal is to reduce life cycle, acquisition and non-recurring costs, Rich said. It is a tri-service initiative that is unique for an engine program in that it pulls in three companies involved in airframe production-Boeing, Northrop Grumman and Lockheed Martin. Honeywell will develop a 700-shp demonstrator in partnership with the U.S. Army's Aviation Applied Directorate at Ft. Eustis, Va. under a 46-month, $46 million agreement. The program required Honeywell to meet aggressive goals, including better specific fuel consumption at 50-percent power, a setting used in cruise and while loitering. "The question is how do you build an engine that is very fuel efficient at part power, but still gives you the capabilities at full power?" Rich said. The goals of the work include a 20-percent reduction in specific fuel consumption, a power to weight improvement of more than 50 percent and a cut in life cycle costs by more than 35 percent." The demonstrator engine will be 40-percent smaller than Honeywell's 700-shp. LTS101, Rich said. The 700-shp. initiative started in October 2003 and is heading into critical design review by the end of the year. "We will be testing component level rigs for the program at the end of this year and during the first half of 2005," Rich said. Chief Warrant Officer Michael J. Durant, U.S. Army (ret. ), will visit the National Air & Space Museum in Washington, D.C. Nov. 5, from 8:00 to 9:00 p.m., to present the Vice Adm. Donald D. Engen Annual Lecture. Durant will discuss U.S. Army Helicopter Operations and his career as a helicopter master aviator assigned to the 160th Special Operations Aviation Regiment (Airborne), the U.S. Army's Night Stalkers. He flew combat missions in the Persian Gulf and Panama in 1989 and during Desert Storm in 1991. During operations in Mogadishu, Somalia on Oct. 3, 1993 that were featured in the book and the movie "Black Hawk Down," his MH-60 Black Hawk was one of two aircraft shot down. He was held prisoner for 11 days. Durant is qualified in the UH-1 Huey, MH-6 Loach, and MH-60A, L, and K models of the Black Hawk. He has a total of 3,700 flight hours, with more than 1,400 under night-vision goggles. For information on the lecture, call (202) 633-2603 or visit www.nasm.si.edu. On Oct. 6, 2004, the Aviation Branch of the U.S. Park Police dedicated their new helicopter hangar. The 6,000-sq.-ft steel structure is an add-on to the original 4,800-sq.-ft. facility that has been their Washington, D.C. base since 1976. The new facility includes floor space for both of the Park Police's search-and-rescue Bell 412s, as well as 3,060 sq. ft. of space for the unit's eight pilots and seven paramedics, plus office space for Secret Service agents who frequently fly with the unit in support of presidential activities. The building boasts a large conference center, fitness room and modern office space. Outside, a large ramp area and a 10,000-gal. jet fuel farm with remote hose cabinet support the on-call aircraft. The need for additional hangar space occurred when the Park Police replaced one of its two Bell 206L Long Rangers with the two 412s. The old hangar, complete with kitchen and multi-purpose crew quarters, will continue to be used by staff members. The hangar area will serve as the fleet's maintenance bay and house the remaining 206L. USPP helicopters provide first priority for airborne law enforcement and SAR missions on National Park Service property in the District of Columbia, Maryland, Pennsylvania, and Virginia. It is tradition to name Park Police facilities after its officers who died in the line of duty. At the time of the dedication, there were no new names to use. The agency hopes it will stay that way. ERA operates a fleet of about 85 helicopters and 16 fixed-wing aircraft, primarily in the oil and gas industries. Its helicopter operations are based in Alaska, the West Coast and the Gulf Coast, as well as in Shenzhen, China. The company lost nearly $14.4 million during the first half of this year, compared to losses of $5.1 million during the same period in 2003, according to Rowan Co.
SEACOR said that it intends to merge ERA with its wholly-owned subsidiary Tex-Air Helicopters, Inc., keeping the name ERA Aviation and dropping the name Tex-Air. The merger will give the new ERA Aviation a total of 128 helicopters plus the 16 fixed-wing aircraft. Primary emphasis of the newly formed company will be centered on Gulf of Mexico operations. Final purchase by SEACOR is subject to post-closing working capital adjustments. U.K.-based Qinetiq has signed a purchase agreement to acquire St. Louis-based Westar Aerospace & Defense Group. 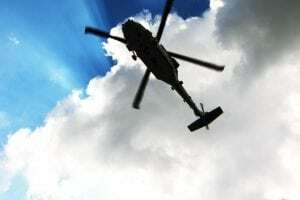 The $130-million purchase will include Aerospace Filtration Systems, a major supplier of inlet barrier filters for military and civil helicopters. It is still subject to U.S. regulatory approval. "This is another key step to delivering our strategy of expanding into the U.S. defense and security markets," said Sir John Chisholm, QinetiQ's chief executive officer. "Our strategy has been to acquire strongly growing companies which have specific expertise in taking technology through to the markets. Westar is such a company, with a track record of 38 percent annual growth during the last five years." He added that, "The development of our business in the United States is one of three strategic directions for the business, the others being further development of our core U.K. defense business and the commercialization of our defense technologies. We intend to spend the next year bringing our acquisitions successfully into the QinetiQ Group before we consider the possibility of an IPO." Westar forecasts revenues of around $140 million in fiscal year 2004. The company provides engineering, software and logistics services to the aerospace industries, primarily to the U.S. Defense Dept. It will become a wholly-owned subsidiary of QinetiQ North America and will remain autonomous, retaining its name, core management team, employees and U.S. facilities. QinetiQ's annual results highlighted a 28 percent rise in operating to $102.1 million on turnover which rose by three percent to $1.43 billion. In percentage terms, QinetiQ saw its highest levels of growth in the U.S., generating around $40 million in orders during the last financial year. AFS president Mike Scimone said that the agreement with QinetiQ keeps AFS totally independent as a subsidiary of Westar, although it does provide AFS with QinetiQ "vast technological resources," subject to U.S./U.K. technology transfer agreements. "QinetiQ basically has told us to keep doing what we've been doing, which is saving the (U.S.) government money. The acquisition really will have no real impact on us." Both AFS and Bell Helicopter have been touting the AFS inlet barrier filters in helping the Bell 407 land at 24,971 ft. density altitude during high-altitude testing in Nepal. Steven Woolston, Bell Helicopter director of Asia Pacific Programs, said that "we picked up a lot of debris that might have passed through a particle separator and degraded our engine. We definitely did not want that to happen at these altitudes." Jay Foster, AFS engineering sales and marketing manager, said that the "maximum performance was required and our system delivered it. The engine runs so much cooler with our high efficiency filter. It really gives operators a measurable performance edge." Foster added that the filter used on the 407 has now received FAA certification for the Bell 206L3 and -L4, and that the filter was designed to be fully interchangeable between the 206L3/L4 and the 407. Sikorsky Aircraft Corp. announced at NBAA that it has appointed Harrods Aviation Ltd. as a non-exclusive sales representative in the United Kingdom and Ireland to assist in commercial sales and support of S-76 and S-92 civil helicopters, as well as any future civil helicopters. 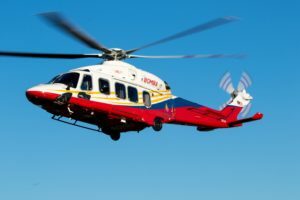 Harrods is also supporting Sikorsky elsewhere, including the upcoming Dubai HeliShow taking place this December, where the two will exhibit side-by-side. Harrods currently operates the first Sikorsky VIP S-92 and will take delivery of an S-76C+ next summer for demonstrations throughout Europe. Harrods Managing Director Steve Grimes stated at the NBAA show that the S-92 would be a good candidate for a shuttle operation between London and cities on the Continent such as Paris or Amsterdam. Harrods Aviation is a full-service fixed base operator with U.K. facilities at London Stanstead, London Luton and Farnborough airports. It also is a factory-approved Sikorsky Service Center. Rotor & Wing columnist Johan Nurmi and John Thomas have just completed a record setting flight from Los Angeles to Savanna, Ga. round-trip in a Robinson R22BII piston-powered helicopter. The flight took four days, 12 hr. and 20 sec., and recorded 53.9 flight hr. The two men set off from Los Angeles International Airport at 6:07 a.m. on Sept. 30, flew to Savannah, then returned to LAX. The route of flight both ways took Nurmi and Thomas through California, Arizona, New Mexico, Texas, Louisiana, Mississippi, Alabama and Georgia. Nurmi said that they are now negotiating with Eurocopter "and other large helicopter manufacturers" for sponsorship of an around-the-world flight in an attempt to beat the current record. The record LAX-SAV-LAX flight "proves that we are ready to step into a turbine-engine helicopter" for an attempt at the around-the-world record, Nurmi said. He noted that the flight was a U.S. record and "might even be a world record." The British RAF airlifted an EH101 Merlin Mk.3 helicopter to the United States aboard a C-17 Globemaster in late September, demonstrating the rapid worldwide deployment capability of the US101 currently involved in the VXX presidential helicopter competition. The helicopter was being taken to a U.S. military base on the West Coast for operational testing. The ability of the EH101 to fit inside a C-17 had previously been demonstrated, although it did not include an actual flight. Lockheed Martin, team leader for the US101 VXX competitor, noted that the US101 has a folding tail, unlike the EH101, and can therefore be prepared for flight aboard a C-17 faster and more easily. Flyaway time from the point at which the C-17's aft ramp is opened is within 2 hr., the company said. The aircraft is also air transportable in the Lockheed C-5 Galaxy. Two North American Eurocopter companies reported sales during the NBAA show last month. Eurocopter Mexico said that it had placed the first order for the new EC145 in the Americas to Aeropersonal, a Mexico-based corporate operator. American Eurocopter reported the sell of an EC155 to Thomas Enterprise, a real estate development company. The EC145 is the newest version of the BK117. It accommodates nine passengers plus the pilot and is powered by twin Turbomeca Arriel 1E2 engines. Aeropersonal CEO Gustavo Anaya noted that the aircraft was chosen for its hot and high capability, as well as its "environmental friendliness." The EC145 has an average noise level 6.7 dB below ICAO requirements and is reported to be the quietest in its class. The EC155 is the follow-on to the AS365 Dauphin and accommodates 13 passengers plus one pilot or 12 passengers and two pilots. It is powered by twin Turbomeca Arriel 2C2 engines. Significant difference between the EC155 and the AS365 is the EC155's five-bladed Spheriflex main rotor system, compared to a four-bladed system for the AS365. The Society of British Aerospace Companies (SBAC) has created an independent company to run the biennial Farnborough Air Show. The new company, Farnborough International Ltd, will be fully responsible for the planning and running of the show, albeit with many of the current SBAC staff already involved in the show. The separation of the air show from the SBAC will allow that staff to concentrate totally on the show, rather than having their duties split between the show and other SBAC activities. The new company will also incorporate its own logo to differentiate it from the SBAC. It will also be able to consider organizing other air show events for the future. The new company will be headed by Colin Way, previously with Marshall Aerospace. Way had worked with the SBAC on Farnborough 2004 while seconded from Marshall Aerospace. Way said that the new company "will deliver a cost effective show for 2006 that the aerospace community will be truly proud of." The upcoming show will run July 18-21, 2006 for Trade Days and July 22-23 for public days. 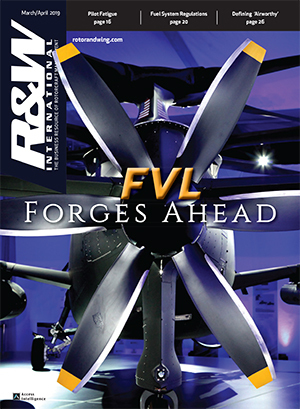 The formation of the new company should also put to rest the persistent rumors that every Farnborough show will be the last Farnborough show. Members of the Marine Tiltrotor Test and Evaluation Squadron 22 (VMX-22) have been testing the V-22 Osprey under conditions that it would experience in Iraq. The squadron took four V-22s to Nellis AFB near Las Vegas, Nev. to assess operations in the austere environment and to develop tactics, techniques and procedures as well as conduct pilot and aircraft proficiency training for the Operation Evaluation that is to begin in January, according to Lt. Col. Christopher Seymour, chief operational test director for VMX-22. He said that, "The goal is not only to develop tactics, techniques and procedures, but also to deploy as a unit," noting that the deployment is a great orientation for Marines and airmen who are junior to aviation and to the service to perform in an environment they do not work in on a daily basis. "This deployment is a chance for our squadron to prepare for our OpEval, where we will have twice the amount of aircraft and spend up to five months testing in every clime and place," he said. Air Force Master Sgt. John Lysaght, maintenance superintendent for Det. 2 of the 18th Flight Test Sqdn, said that "It is essential that (USAF) airmen be involved in this training because the CV-22 is 85 percent common to the MV-22." The CV-22 is the MV-22 with additional equipment such as radars, an electronic warfare platform and a directional infrared counter measures system. The airmen are working with the Marines and learning about the Block A configuration of the MV-22. They can then take their experience and lessons learned back to their unit and train other airmen, Lysaght said. The Air Force will begin its OPEVAL in 2006. The Marine testing at Nellis AFB was scheduled to have ended late last month. The Royal Air Force of Oman has become the ninth NH90 customer to select the Rolls-Royce/Turbomeca RTM322 engine to power its new fleet of Tactical Troop Lift variants of the helicopter. The RAFO currently has 20 NH90 TTLs on order. The RTM322 used to power the NH90 is a 2,500-2,600 shp upgrade of the original version of the engine. Other countries ordering the RTM322 powered NH90 are Finland, France, Germany, Greece, Netherlands, Norway, Portugal and Sweden. The joint Anglo/French company has established module and engine assembly lines in Finland, France, Germany, Norway and the United Kingdom to supply and support the aircraft's engine requirements. The RTM322 has also been selected for approximately 75 percent of EH101 orders, the latest customer being the Japan Defense Agency, the company said. Joe Ponte, NBAA vice president of membership, marketing and regional programs, has been approved as the newest member of the National Aviation hall of Fame Board of Trustees. Paul Renaud has resigned from CAE to take the position of CFO and senior vice president of finance and administration for the Ontario Municipal Employees Retirement System. Renaud served as CFO, executive vice president and secretary of CAE prior to his resignation effective October 31. He had been with CAE for 13 years. CAE President and CEO Robert Brown said that Alain Raquepas, CAE's vice president, finance, military simulation and training, will act at CFO on an interim basis until a replacement can be found. Heli-Dyne has hired Chris Pugnetti as its new program manager for customer support. Pugnetti previously served as a maintenance manager for American Eurocopter. FlightSafety International has appointed Rudy Toering to head its new Farnborough training center, scheduled to open early next year. Toering has been serving as head of FlightSafety's European marketing operations for the past four years, and will retain the office of director of European business development. Also named to support the new Farnborough training facility are Paul Hewett, assistant manager, and Jim Lonas as director of training. Hewett was most recently the chief pilot and manager of Motorola, UK while Lonas was the management analyst of aircrew training for an international operator. The Farnborough training facility will open with seven full flight simulators installed and scheduled to receive JAA certification during the year. It ultimately will hold a total of 14 simulators. NBAA has announced the appointment of J.E. "Sandy" Murdock as senior vice president and general counsel. Murdock has extensive experience in the regulatory arena, having served as chief counsel of the FAA during the first Reagan administration, including serving as acting FAA Deputy Administrator in 1984-85. He then returned to private practice, representing a wide range of aviation organizations, ranging from domestic and international airlines to aviation trade associations including the NBAA. Northrop Grumman Corp. has announced two new appointments to its Integrated Systems sector. Lisa Kohl has been appointed vice president of operations while Frank Flores has been named vice president, engineering, logistics and technology for the company's Air Combat Systems business area. Kohl had formerly served as vice president, Six Sigma at Northrop Grumman's Space Technology sector. Among the additional positions Kohl has served in during her 27 years with Northrop Grumman have been vice president of its Space Technology sector's information infrastructure organization and functional manager for its Ground Systems Center. Flores also came from Northrop Grumman's Space Technology sector, where he served as director of the F-35 communications, navigation and identification program for the sector's Radio Systems organization. A portion of his current duties will involve supporting the RQ-4 Global Hawk program. Dec. 6-9--Dubai Helishow 2004, Dubai, United Arab Emirates, East Hall, Dubai Airport Exhibition Center. Contact: Julia Cuthbert, 44-(0)1293 823779; e-mail: cuthbert@mediacom.com. Feb. 6-8--HELI-EXPO 2005, Anaheim, Calif. Contact Marilyn McKinnis, the Helicopter Association International, Alexandria, Virginia, 703-683-4646; fax 703-683-4745; web www.rotor.com; e-mail: marilyn.mckinnis@rotor.com. March 22-24--Navy League, Marriott Wardman Park Hotel, Washington, D.C. Contact: J. Spargo & Assoc., 703-449-6418; fax 703-631-7258; web: www.navyleague.org; e-mail: sasregistration@jspargo.com. June 12-14--46th International Salon of the Paris Air Show (2005), Le Bourget Airport, France. Contact: Salons Internationaux de l'Aeronautique et de l'Espace, Paris, France, +33-(1)-53-23-33-33; fax +33-(1) 47-20-00-86; web www.paris-air-show.com; e-mail: info@hfusa.com; or siae@salon-du-bourget.fr.